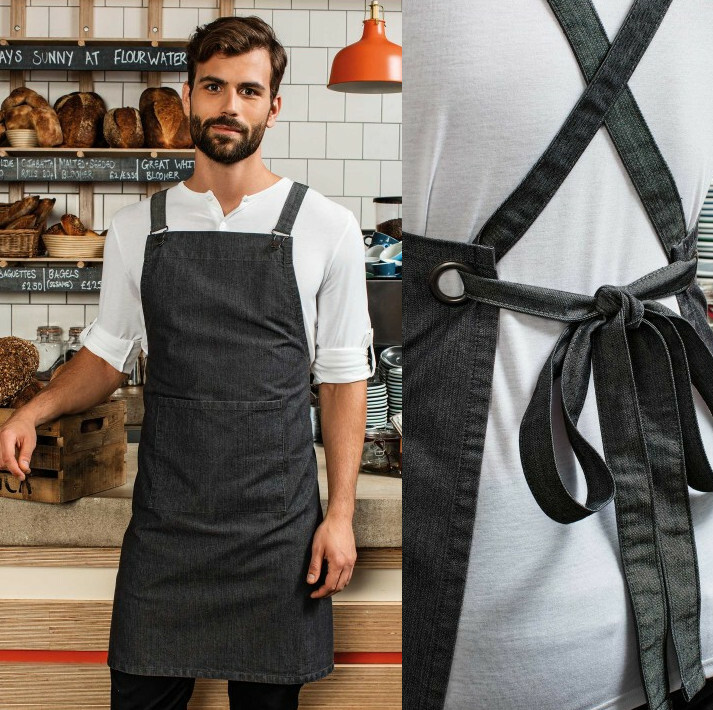 Available in eight colourways with self-fabric ties that are fastened to the main body of the apron with dungaree style buckles. The straps then hook over the shoulders, cross over at the back, loop through the large eyelets at the waist and tie neatly at the back. Also features a useful front centre pocket with combined pen slot. 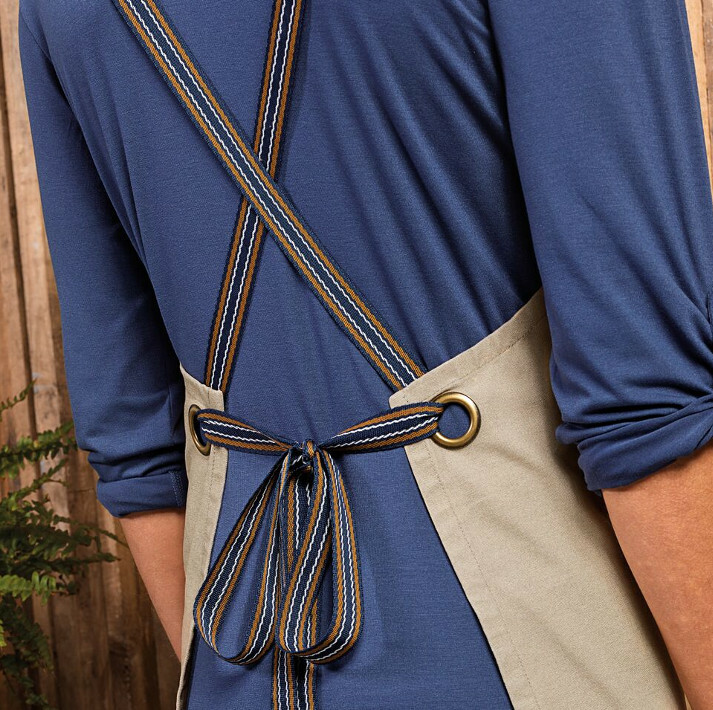 This style is designed to be paired with our PR119 Interchangeable Apron Straps should you want a contrast colour or fabric to the main body of the Apron.